StarUML v2.0.0-beta9 is now available for download. This release includes the following features and fixed issues. File extensions has changed from .umlj to .mdj for a model file and from .umlf to .mfj for a model fragment file. 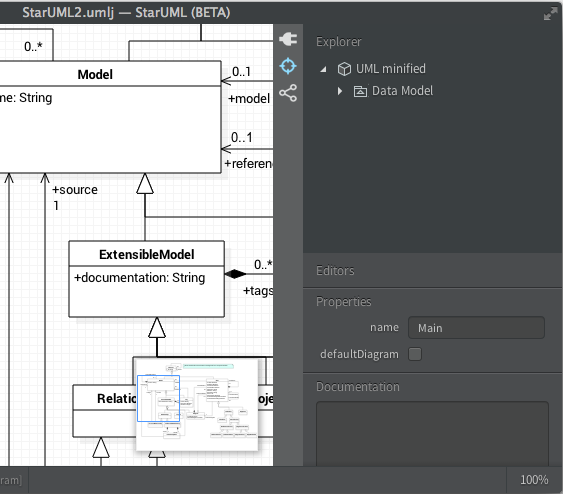 The reason why we changed file extensions is that additional modeling languages or notations other than UML will be supported in the future such as Entity-Relationship model, SysML, BPMN, etc. Now you can see the entire diagram in a Minimap and navigate the diagram easily by clicking or dragging on the Minimap. To show or hide Minimap, select the Minimap icon on the Toolbar or select View > Minimap menu. It is possible to select an element in Explorer from a selected view on a diagram by selecting Edit > Select In Explorer. What about vise versa? Now you can select views in diagrams from a selected element in Explorer by selecting Edit > Select In Diagram in Menu Bar or Select In Diagram in Context Menu. 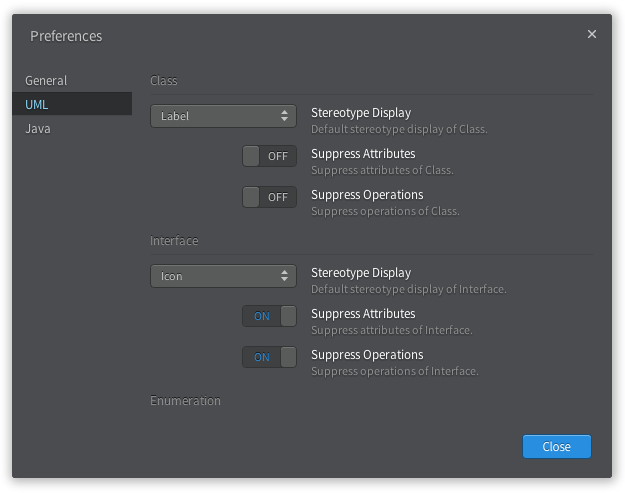 If the selected element in Explorer is shown in two or more diagrams, you will be asked to select a diagram to show. 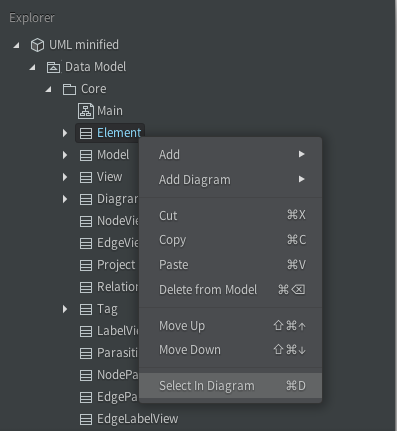 Now you can change default settings for UML elements in UML Preferences. It allows you to avoid from repeated formatting of specific UML view elements.